Tendons are the cords that attach muscle to bone. When tendons get inflamed or irritated, this is commonly referred to as tendinitis. Most of the time, overuse or repetitive movement of a limb causes the tendon to get inflamed or irritated. Other conditions such as autoimmune disease or infections may cause this sort of inflammation as well. The sites that are most commonly affected are the Achilles tendon (attaches the calf muscle to the heel bone), the shoulder (rotator cuff tendons or biceps tendons), the knee (quadriceps or patellar tendon), elbow (the triceps tendon), and wrist (deQuervain’s tenosynovitis). The best way to treat tendinitis is to rest the tendon so it can heal. Bracing or splinting may be helpful to prevent overuse and promote warmth in the area to improve blood flow for healing. Tendons are slower than bone to heal and this healing process sometimes may take up to six months. Tendons do however respond well to stimulation, such as massage and stretching, which promotes increased blood flow and strengthens the fibers of the tendon cord. Strengthening the supporting muscle groups also helps to stabilize the tendon and has been shown to reduce pain. A good physical therapy program to assist in stretching and strengthening is helpful as it often is not easy for patients to effectively passively stretch the tendon themselves. Other adjunctive therapies, such as anti-inflammatory medications and injection around the tendon (usually done by ultrasound guidance to avoid tendon rupture that may be caused by directly injecting the medicine in the tendon itself ), can aid in decreasing inflammation. If not cared for in a timely manner, tendonitis may progress to tendinosis, which results in chronic degenerative changes of the tendon with disruption and scar tissue that may cause chronic pain and make the tendon easily susceptible to rupturing. A bursa is a fluid-filled sac that helps musculoskeletal structures glide against each other smoothly. When this very thin fluid-filled sac gets swollen and inflamed, it commonly is referred to as bursitis. There are several causes of bursitis including trauma or direct injury, prolonged pressure (such as leaning on one’s elbow or sitting too long), overuse, inflammatory arthritis (such as rheumatoid arthritis, spondyloarthropathy, gout), or more serious infections. Bursitis may happen quickly, such as infection or trauma, or more slowly with prolonged pressure and overuse. Bursitis usually presents with pain upon range of motion (if the bursa lies near a joint) or with applied pressure. If the bursa is close to the skin, redness may be noted, such as in the elbow or knee. If the bursa is a deep structure only pain is noted such as in the shoulder or hip. Sometimes the bursa swells so much that fluid may be removed and sent for analysis. Bursitis is treated by resting and joint protection, ice or heat depending on chronicity (chronic or lasting on a longterm basis), and anti-inflammatories such as NSAIDs. If that does not help, physical therapy and bursa corticosteroid injections often are helpful. Shoulder (subacromial bursitis) Shoulder bursitis causes pain in the shoulder and outside of the upper arm. 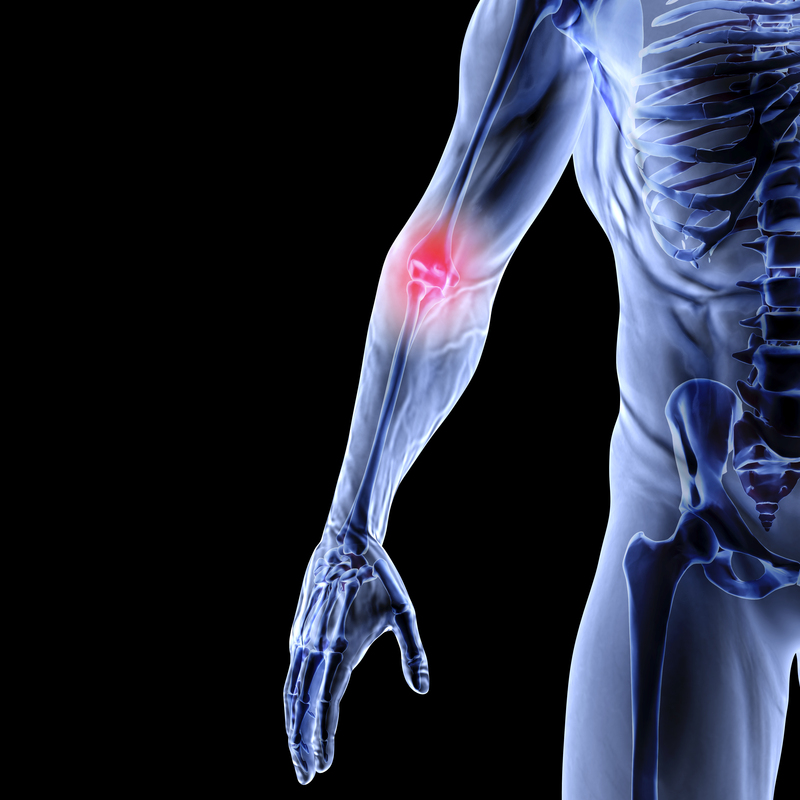 Pain often is present at rest and increases with movement of the arm. Rotator cuff tendonitis may present with similar symptoms so imaging of the shoulder may be helpful to diagnose the underlying process. Elbow (olecranon bursitis) Elbow bursitis usually causes a visible swelling at the tip of the elbow. Gout, trauma, rheumatoid arthritis, and infection are the most common causes. Olecranon bursitis causes pain when the elbow is flexed and applied pressure is made to the tip of the elbow. Hip (trochanteric bursitis) The greater trochanteric bursa is located on the lateral side of the hip joint (the outside of the hip) and may cause pain while lying or sleeping on the affected side. Knee (prepatellar & infrapatellar bursitis) The prepatellar bursa is located at the front of the knee (on top of the patella or kneecap) and the infrapatellar bursa is located below the knee. Bursitis of these areas may occur as a result of consistently applying pressure to the knee such as kneeling for too long. It also may occur in other conditions such as gout, infection, or rheumatoid arthritis. 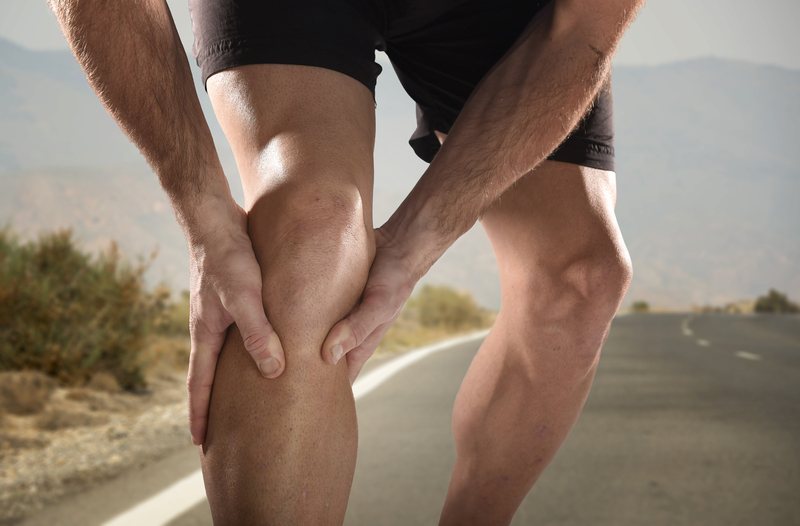 It is important to note that swelling occurs within the bursa outside the knee, not in the knee joint itself.